Should you dip into your RRSP to pay off debts? Paying off debts is usually a good idea. But using your RRSP is not good if you pay too much tax. You also don’t want to jeopardize your retirement savings goals. Using TFSA savings is better since TFSA withdrawals are tax-free. RRSP withdrawals are taxable. You could pay much more than the amount of tax that gets automatically deducted from your withdrawal. For instance, you might have 30 per cent tax deducted but you’d find yourself pushed into a 33.5 per cent tax bracket, for example, when your taxable income exceeds $45,916 because of the RRSP withdrawal. What if you’re retired and have debts? Suppose your RRSPs are the only cash source. Dipping into your RRSP to repay debt may be OK if you stay in the lowest tax bracket when you make your RRSP (or RRIF) withdrawal. Is your RRSP growth rate higher than the interest rate charged on your debt? Normally your most expensive debt is your credit card debt, especially if you fail to fully pay off the balance every month. 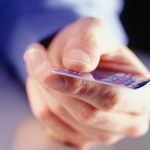 Reward credit cards typically charge 20 per cent interest. Don’t expect your RRSP to grow that fast. Therefore, you might want to dip into your RRSP to pay off what you owe on your credit cards — provided you avoid paying too much tax. Remember that you’re paying 20 per cent interest using after-tax dollars. Thus, paying off a credit card balance is equivalent to earning a guaranteed before-tax 30 per cent rate of return, when you’re in a 33.5 per cent income tax bracket. What about paying down your mortgage because you’re afraid of continuing mortgage rate increases? Compare your mortgage interest rate to your expected RRSP growth rates. Mortgage rates range between about two and seven per cent. They are lowest for closed, variable rate mortgages; highest for open, long term, fixed-rate mortgages. When your expected RRSP growth rate exceeds the mortgage interest rate, you would generally want to keep the money invested in your RRSP rather than take money out to pay down your mortgage. But, can your RRSP growth rate really beat today’s low mortgage rates? If you are risk averse, your RRSP growth rate is probably very low, too, especially if your RRSP holds GICs earning less than 2.5 per cent. What about an RRSP holding equities? Look at long-term equity yields. A widely cited study, called DALBAR’s Quantitative Analysis of Investor Behaviour, compares investors’ average annual returns to market returns. The latest DALBAR study shows that, over the 30 years that ended December 31, 2016, the average equity investor earned 3.98 per cent while the S&P 500 index averaged 10.16 per cent during the same period. Why is there such a discrepancy? Too often fear causes investors to sell low. Short-term rallies tempt investors to buy high. The average investor times the market badly. Equity returns depend on how disciplined you are as an investor. Having a financial adviser should help you avoid mistakes. Compare expected equity returns to paying down the principal of a 2-per-cent mortgage, which is equivalent to earning a guaranteed three per cent return before tax for someone in a 33.5 per cent tax bracket. It’s usually a good idea to pay down your debts. But it would be a mistake if you pay a high rate of tax when you dip into your RRSP and take out too much cash. Your financial adviser can help you make the decision that maximizes your financial security. Terry McBride, a member of Advocis, works with Raymond James Ltd. The views of the author do not necessarily reflect those of Raymond James Ltd. Information is from sources believed reliable but cannot be guaranteed. This is provided for information only. We recommend that clients seek independent advice from a professional adviser on tax-related matters. Securities offered through Raymond James Ltd., member of the Canadian Investor Protection Fund. Insurance services offered through Raymond James Financial Planning Ltd., not a member of the Canadian Investor Protection Fund.